It's important to have hope and belief when there is cure, compassion and support. This official thought leadership series of Global Hospitals presents some of the most inspiring patient stories, treatment case studies, cutting edge news on prevention, treatment and cure. This is our outreach channel and support group for Healthcare seekers and Patients. Mumbai May 27, 2015: Global Hospitals Mumbai - one of the fastest growing chains of tertiary care, multi-super specialty and multi-organ transplant hospitals in India, has yet again achieved a rare feat in spine surgery. 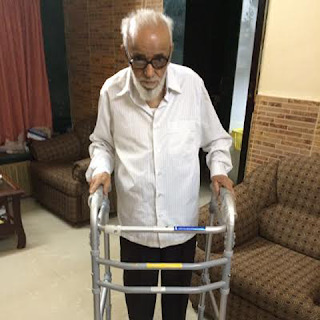 For the first time in India, expert team of doctors in Global Hospitals performed minimal access spine surgery on 82-year-old Ankylosing Spondylitis (Bamboo Spine) patient. The surgery was conducted by implanting 14 screws in the spinal cord. Ankylosing Spondylitis, commonly known as Bamboo Spine is a form of rheumatic arthritis that’s associated with long-term inflammation of the joints in the spine. Symptoms include pain and stiffness from the neck down to the lower back. The spine's bones (vertebrae) may grow or fuse together, resulting in a rigid spine. At times these changes might be severe, and may lead to a stooped-over posture. In this case the 82 year old patient having Ankylosing Spondylitis had a fall in November 2014. Post the fall he was constantly complaining of excruciating back pain. In Feb 2015 he became totally bed ridden. He was paralyzed in the legs. He came to Global Hospitals in first week of March. Upon investigations the team found that had developed 3 Andersson Leisons (AL). It is a known complication in patients with Ankylosing Spondylitis. AL may result from inflammation or (trauma) fractures of the ankylosed spine. After carefully examining his case and meticulously weighing all the options, Dr. Peshattiwar decided that there was no option but to perform surgery on the patient. The surgery was all the more challenging as the patient had other complications as well. He had fluid in both his lungs commonly known as pleural effusion. He was also found to have very low protein levels which could have resulted in further complications. There was no chance of performing a traditional surgery, as "open surgery," means the area being operated on is opened with a long incision to allow the surgeon to view and access the anatomy; It would have led to loss of blood and the chance of patient not surviving post the surgery would have been very high. The team decided to conduct a minimally invasive surgery. A minimally invasive spine surgery does not involve a long incision; it avoids significant damage to the muscles surrounding the spine and results in less pain after surgery and a faster recovery. Dr. Vishal Peshattiwar, Consultant, Consultant - Endoscopic & Minimally Invasive Spine Surgeon, Global Hospitals, Mumbai, carried out the complex surgery in second week of March. Dr. Peshattiwar said, “We were delighted when post the surgery patient said that pain he is feeling after the surgery is much less as compared to the one he was in prior to the surgery. It was gratifying to see him go home walking as he had come to us on a stretcher and was on bed a month prior to that. He has recovered well and now has started performing all his daily chores by himself. It was a huge risk as there is always a danger of life involved in the surgery, and spine is extremely sensitive area.” “What boosted our confidence was the fact that we had performed a similar surgery successfully on a liver failure patient who had TB of the spine,” added Dr. Peshattiwar. At Global Hospitals Mumbai, the highly specialized team of Spine Doctors treats slip disc in neck and/or lower back, spondylosis with pressure on nerve, spinal stenosis, abnormal curvature, degenerative disc disease, osteoporosis of the spine, tuberculosis of the spine and many other spine problems. The team performs day care spine & neck surgeries, non-surgical slip disc removal, minimally invasive spine surgery, stitchless spine surgery and high risk spine surgeries with precision and care. Mumbai June 12, 2015: Global Hospitals Mumbai - one of the fastest growing chains of tertiary care, multi-super specialty and multi-organ transplant hospitals in India, has added one more feather to its cap, by performing Western India’s first auxiliary liver transplant on a 14 year old patient from Mumbai suffering from Crigler–Najjar Syndrome (CNS). The liver was donated by Yash’s aunt. Crigler-Najjar Syndrome Type I is a very rare inherited disorder in which bilirubin (a substance made by the liver) cannot be broken down. It occurs when the enzyme that normally converts bilirubin into a form that can easily be removed from the body does not work correctly. Without this enzyme, bilirubin can build up in the body and lead to jaundice (yellow discoloration of skin and eyes) and damage to the brain, muscles, nerves and loss of life in extreme conditions. This is a very rare disease (estimated at 0.6–1.0 per million live births). The syndrome runs in families (inherited). A child must receive a copy of the defective gene from both parents to develop the severe form of the condition. Parents who are carriers (with just one defective gene) have about half the enzyme activity of a normal adult, but do not have symptoms. Lifelong light treatment (photo therapy), blood transfusion and liver transplant are used for CNS treatment. The 14 year old resident of Oshiwara, Yash Ranjit was detected with CNS, 14 days after he was born and was on photo therapy since then. Yash had to undergo daily photo therapy for 6 hours a day which increased to 12-14 hours a day as he grew up, to keep his bilirubin under control; else he would have suffered brain damage. Yash’s parents were very disturbed with his condition, but were reluctant to undergo a liver transplant due to various reasons and fear. They imported a photo therapy machine to keep Yash under light. Due to this condition, Yash could not lead a normal life like other children of his age, as he had to compulsorily take photo therapy, and was confined to the four walls of his home. During this course, one day Yash got seizure and his parents could not see the plight of their son. That’s when they decided to go for liver transplant. It was not an easy choice for the parents. Both his parents turned out to be unfit for a liver donation. They were in a state of flux, and then his aunt came forward and agreed to donate part of her liver to Yash. Yash came to Global Hospital and the team of experts at Global Hospital decided to perform the rare complex auxiliary liver transplant on him. The transplant was successfully performed and Yash has been discharged from the hospital and now can lead a normal life, but will have to be on immunosuppressant medications. Yash’s liver transplant took place on 28th May. During the surgery a portion of Yash’s liver was removed and replaced with a small portion of his aunt’s liver. Post – operative complications were managed by liver intensive care team. He got discharged on 10th June with a normally functioning liver. Also known as Auxiliary Partial Orthotopic Liver Transplantation (APOLT); the procedure entails attaching part of a donor liver to the failing liver in the recipient, where it supports the patient, clears toxins, and prevents brain injury during recovery. After the patient's native liver recovers, the donor liver withers in most patients and the majority of patients are able to withdraw from immunosuppressant medications. The expert team of doctors comprised Dr. Samir Shah, Dr. Guruprasad Shetty, Dr. Somnath Chattopadhyay and Dr. Vishal Sachde. Yash’s parents are extremely thankful and relieved post the surgery and are very happy with their decision. 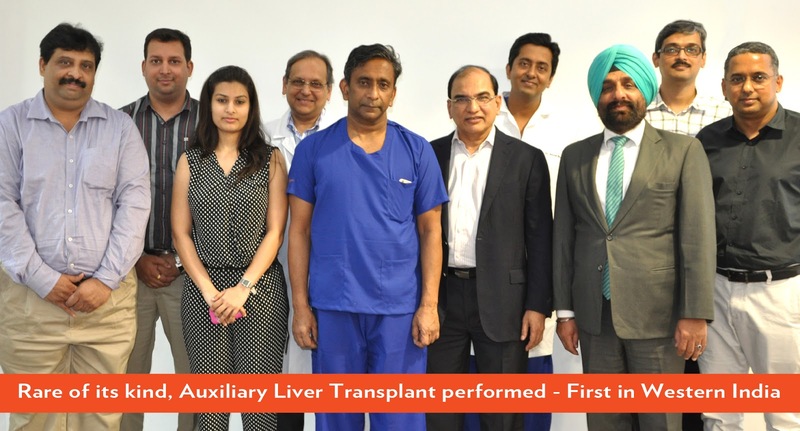 Global Hospital Mumbai has already established itself in the transplant space and has handled many complex liver surgeries in the past, including the successful Dual Lobe Living Donor Liver Transplant in the past. With the first ever auxiliary liver transplant in Global Hospital Mumbai, the hospital as yet again reiterated its commitment to provide world class health care facilities to the patients. The SPINE lends structural stability and balance to our body helping us stand upright, while allowing flexibility in various movements. Moreover, it forms a protective canal in which the SPINAL CORD, the most important part of the neural network, flows down from the brain to the rest of our body. The spinal column is an interconnected structure of bony (vertebrae) and cartilage tissues (intervertebral discs) and it is prone to age related wear and tear. Read through to learn more about a HERNIATED DISC, its manifestations and treatment options, with special reference to a minimally invasive surgical technique called Endoscopic discectomy. First, let’s understand an intervertebral disc. It is essentially a disc shaped, rubber like tough and flexible structure made of outer layers of fibrous cartilage with a softer gel like tissue in the center. A disc lies between two adjoining vertebral bones of the spine and acts as a shock absorber. This disc undergoes wear and tear changes (degeneration) after a certain age. When the degenerated disc is subjected to any external strain or injury, the substance from the central part of the disc comes out through the tears in the outer fibrous layers. This condition is called a herniated disc. It is also referred to as prolapsed or slipped disc. A disc prolapse can occur in any part of the vertebral column; but, mostly observed in the lumbar (lower back) or in cervical (neck) region. What happens when an intervertebral disc herniates ? Numbness or tingling sensation in the respective part of the leg. Loss of bladder and bowel control if a large disc prolapse compresses multiple nerve roots. If you feel recurring radiating pain in any of the body parts, it would be a good call to see a Spine specialist. Disc herniation happens as a result of degeneration that is mostly related to the genetic composition of the person. Smoking is another well established factor that causes disc degeneration. Other factors also play a role in the process of wear and tear of the discs. Though the exact reason is hard to pick, disc herniation may be precipitated by strain on the spine during physical work, certain kind of frequent body movements or spinal injury due to any accident. Sometimes adopting improper body posture for physically demanding jobs of time may result in this condition. What are the treatment options for herniated disc condition? Most cases of disc herniation can be treated medically with rest, pain relievers, anti-inflammatory medication and physiotherapy. But, if the symptoms persist or the pain is severe or if it is affecting the nerve function causing numbness and weakness, it needs surgical intervention. Spine surgery is generally adopted as the last resort to treat painful disc prolapse that do not respond to medication for a longer period (usually 3 months). Rarely, a severe nerve compression causing weakness of muscles or severe sciatica may need surgical treatment straight away. Conventional open surgery involves cutting the muscles and removing some portion of bone in the spine, which has its own complications and disadvantages. But, the advent of high definition image guided systems and surgical tools, now-a-days spine surgery for herniated discs can be done with minimal invasion. Endoscopic Discectomy for herniated disc is a minimally invasive spine surgery carried out through a one centimeter incision on the back. It involves removal of herniated disc material that protrudes and compresses the adjacent nerve roots, through specially designed spine endoscopes that help in clear visualization of the structures. Instead of cutting the muscles in an open surgery, endoscopic surgery involves dilation of the muscles causing much less damage and procedure related pain. It can also be performed under local anesthesia as a day care procedure in suitable patients. It is a complicated procedure requiring high degree of expertise and long years of practice. Though endoscopic spine surgeries like TED have become common place in western countries, in India it is still in a nascent stage. The patient is positioned lying face down. Prolapsed disc fragments removed under direct clear vision. Can be done as a day care procedure. Cost of treatment and recovery comparatively low. Though it is fast emerging as a procedure of choice for herniated disc conditions, Endoscopic Discectomy may not be suitable for everyone. The patient selection for suitability of the procedure is very crucial and the decision is best made by an experienced spine surgeon who understands the pros and cons of the procedure.